Like the head lights, there are countless alternatives when it comes to tail light selections. Also like the headlights, whatever choice is made, the lights have to look like they belong. They need to match the general lines on the car and also look like they match the era (styling) of the body. As the rear end of the Ferrari 355 is quite unique in shape and construction, I have decided to try and fit OEM Ferrari tail lights. The 355 has 2 lights per side with a red lens surrounding a clear lens. There are variations of these which use amber lenses as well as round lights of varying diameters. 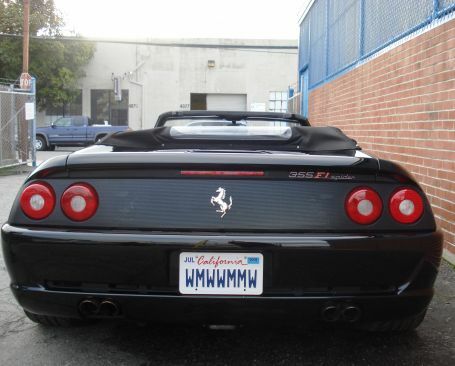 Having decided to try and find a full set of OEM Ferrari 355 tail lights, the search was on. Of course ebay is the obvious place to look. 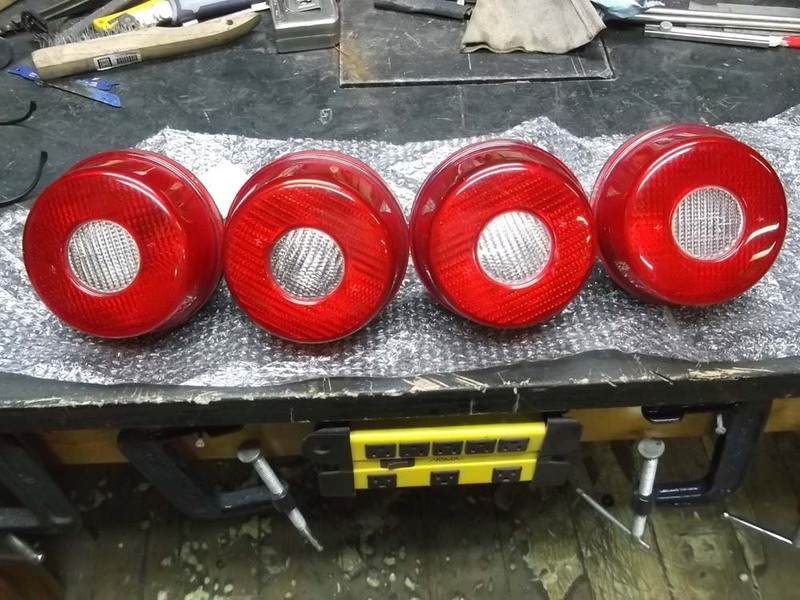 There are a number of suppliers to carry various OEM Ferrari components but you need to be fast because items such as these can be very expensive and finding a full set of matching, good quality used lights is extremely rare. I got lucky late one Friday evening when a set of 4 suddenly showed up on a site I was monitoring for activity. Luckily, they were on the west coast and still open for business so I called them directly and reserved them with a full payment. The rest of the evening, I sat sweating bullets until they finally took their ad down...............the following Monday morning.